Michelle Alexander’s important new addition to the conversation on race and racism. “What is The New Jim Crow and what can we do about it?” features a keynote by Dr. Marvin McMickle, President of Colgate Divinity School, a panel of respondents – people affected directly by our policy of mass incarceration, and a call for solidarity by all our community. You will hear from us again soon with a call to co-sponsor and be a part of the solution. Keep checking back for details! Congregation in Public Life at Colgate Rochester, Crozer Divinity School. He is also Pastor of Jordan United Methodist Church. The Rev. 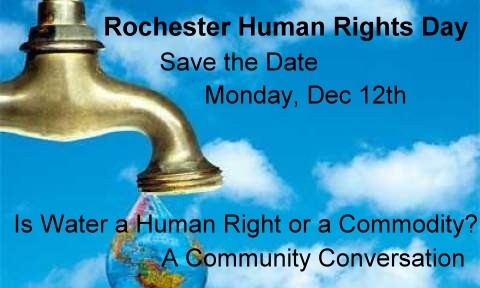 Deborah Duguid-May, an Episcopal priest from South Africa, with training in local and international human rights work, is now working within the Diocese of Rochester. Rev. Duguid-May is currently studying towards a doctorate in ministry. Integrity USA Diocesan Coordinator; the Rev. Susan Kohlmeier, parent of transgender son; John Clinton Bradley, previous Executive Director Integrity USA; Neil Houghton, Provincial Council Representative, General Convention 2012 Deputy. The Rev. Canon Dr. C. Denise Yarbrough, Director of Religious and Spiritual Life at the University of Rochester and was a member of Interfaith Peace Builders Delegation to Israel/Palestine, 2008 and 2010. Workshop 1: Economic Justice, The Rev. Dana Horrell (Sponsored by the Public Policy Committee) The Bible gives us abundant resources for being open to the economic struggles of others, yet the American tradition of individualism often instructs us to put self-interest first. This workshop addresses policy issues related to economic justice from the perspective of covenant, community, and the common good. Workshop 2: Our God is Undocumented,The Rev. Deborah Duguid-May (Sponsored by Rural and Migrant Ministry) This workshop will explore the immigration context within the United States and how people of faith can become advocates in the face of injustice to immigrants..
Workshop 3: Challenges of Inclusion, Toward Respecting the Dignity of Every Human Being (Sponsored by Oasis) With the documentary “Out of the Box” and a panel discussion, we will explore positive ways to support state & federal GENDA & ENDA bills, as well as resources for discussing often misunderstood gender identity and expression issues. Workshop 4: Christians in Palestine - Life Under Occupation, The Rev. Canon Dr. C. Denise Yarbrough (Sponsored by the Office of Inter-religious and Ecumenical Relations of the Episcopal Diocese of Rochester) This workshop examines the situation in occupied Palestinian territories from the point of view of Palestinian Christians. Clips from the video resource Steadfast Hope will be shared and we will focus on how people of faith can become advocates and supporters of the Palestinians.